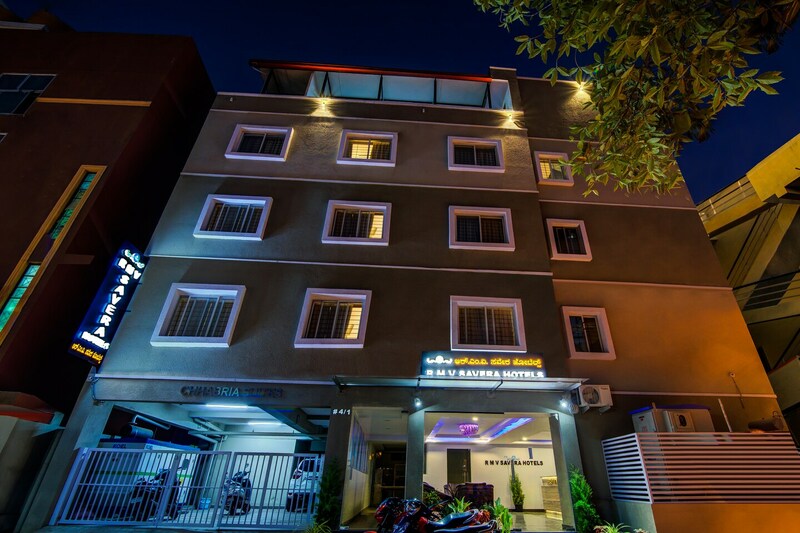 Rmv Savera Hotels is a fine place to stay at with its warm and comfortable environment. The bedroom is a combination of light biscuit/cream colored walls and dark wood furnishings. The wall scone/cylindrical shaped lamps give a warm look to the whole room. A cupboard, a desk, two chairs and a coffee table make up the furniture in the room. The hotel also has an in-house restaurant and dining area for the guests to use. Rmv Savera Hotels also provides its guests with amenities such as laundry and parking facilities. Free Wi-Fi, power backup and card payment option are also included in the list of amenities supplied by the hotel.